The police on Tuesday arraigned a popular Ibadan based radio presenter Mr Oriyomi Hamzat before Magistrate A. A. Adebisi of the Oyo State Magistrate court sitting in Iyaganku, Ibadan over allegation of murdering a 17-year old boy. The 37 years old Hamzat was docked alongside four others; 27 years old Idowu Ibrahim, 31 years old Mohammed Bashir, 23 years old Taiwo olaronke and 23 years old Yusuff Toyeeb Ajisafe. The five suspects were arraigned at the Magistrate Court 3 on a two-count c‎harge bordering on conspiracy and murder in a suit delineated MI/1248c/2017. Magistrate A.A. Adebisi qafter the pleas were taken, ordered the defendants to be remanded in Agodi Prison pending the legal advice from the state Director of Public Prosecution (DPP) and adjourned the case till September 5, 2017. 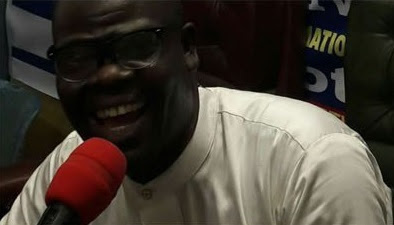 Counsel to the defendants, Mr Olumuyiwa Makinde however expressed the belief that ‎the High Court would grant his clients bail when the case is eventually transferred there.